Dreaming of marrying in a Scottish castle? Glenskirlie Castle is a bespoke 21st century castle with a completely private wedding facility accommodating up to 126 guests on round tables for dining and up to 150 for dancing. 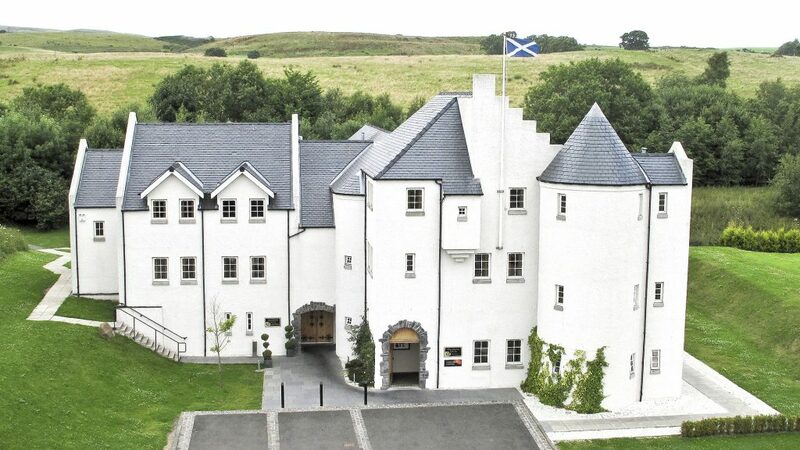 The Castle venue has Caithness stone floors, open fires and oak shutters with beautiful modern fabrics and artwork. It is a truly unique blend of modern and traditional, perfect for your special day!